I don’t remember the first time I went to cracker barrel, but I remember the first time I introduced my kids to the comfort food highway chain. With its quaint rocking chairs and wooden peg solitaire game, a meal at Cracker Barrel takes the pain out of long road trips. Instantly. My kids love to stock up on 80s tv show DVDs and forgotten candy, but my favorite Cracker Barrel treat is a plate of chicken and dumplings. This fall, I took the radical step of adding chicken and dumplings to our family dinners. Why had I never thought to do this before? Why did I limit the joy of this quintessential comfort food only to a highway restaurant? Foolishness. Pure foolishness. Life is too short to only have chicken and dumplings during painful road trips. 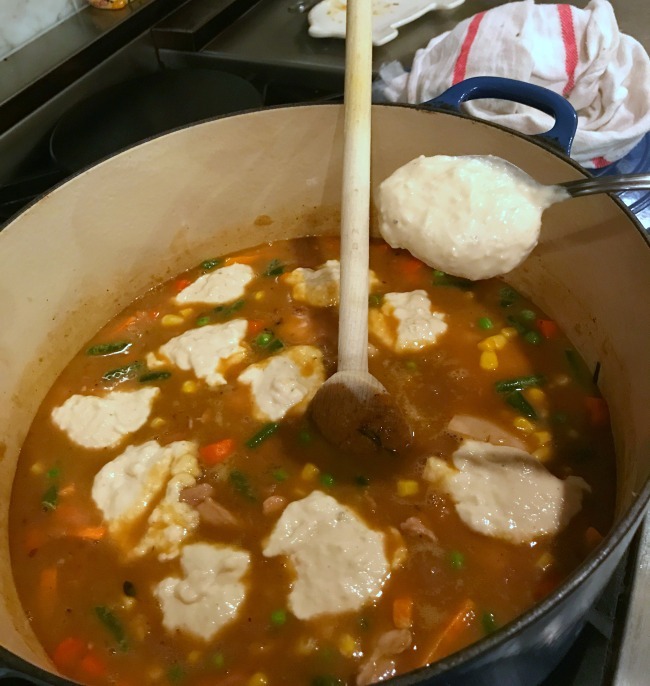 It’s such an easy dish to make and it has a huge wow factor when you pull off the dutch oven’s lid and reveal the golden puffy dumplings. As soon as the leaves start turning, I want to start cooking colorful things in my kitchen too. 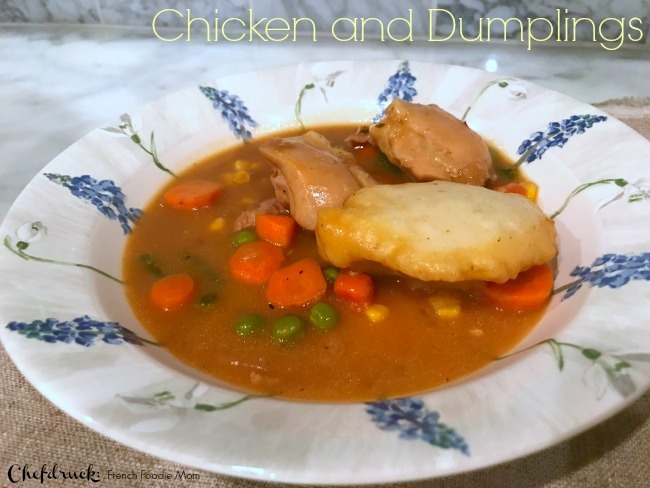 My chicken and dumpling recipe is Martha Stewart meets Julia Child. 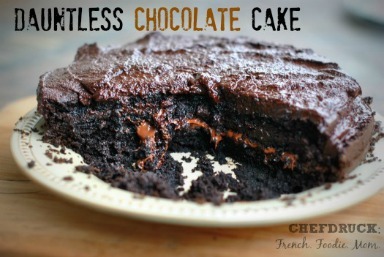 The Martha Stewart Cookbook and Child’s Joy of Cooking are my kitchen bibles. The chicken base is inspired by the pages and pages of Julia Child’s chicken fricassee dishes: Chicken + Flour + Stock + veggies. The magic comes with the addition of Martha Stewart’s dumplings. It’s a simple dough made from baking powder, milk and flour. I punch it up with a few spices. You drop it from a spoon on top of the simmering chicken dish. They look like wet lumps of failed homemade play-do. Thirty minutes later, they are golden and puffy, the perfect vehicle for the savory sauce in which the chicken has been cooking. This is the kind of dish where a homemade chicken stock shines. It really, really makes a difference. I’ve used store-bought chicken stock and the chicken and dumplings are still delish, but trust me on this. Make your own chicken stock. Not only will it make your kitchen smell amazing… it will be the greatest base for chicken and dumplings. 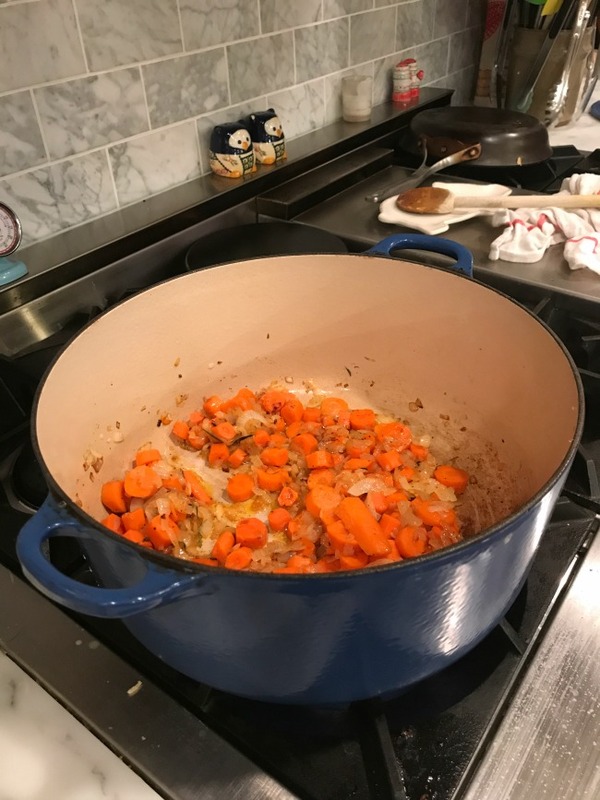 A colorful dutch oven is my go to for this dish, because it comes together in less than 45 minutes. I have never tried to make it in the slow cooker. You could, I suppose, make the chicken in its sauce in the slow cooker for 2-3 hours, but you would have to transfer it to a covered chef’s pan to steam the dumplings golden brown for 25 minutes. They just wouldn’t come out as pretty in the slow cooker. 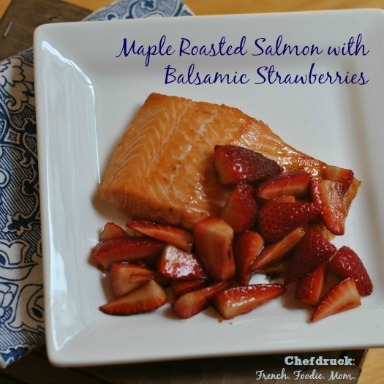 Now that the leaves are cracking underfoot and we’re just beginning to see our breath outside, throw this dish together. I promise your whole family will thank you. These dumplings are so light and delicious, I don’t think I can ever order the Cracker Barrel version again. I’ll just have to make do with their crispy fried chicken. Peel and cut onion and carrots. 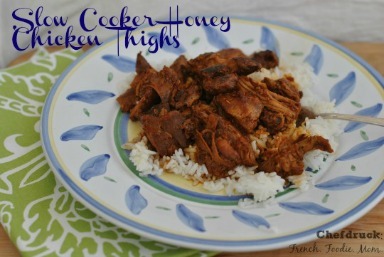 Clean and cut the chicken thighs. In a large (5 or 6 quart) dutch oven, melt the butter over medium heat. Add the onions and thyme and sage. Cook, stirring sometimes, about 5 minutes until the onion is fragrant and softened. Add ¼ cup of flour and stir well to coat the onion. Cook for about 30 seconds to burn off the flour taste. Add the chicken stock and stir well to make sure there are no flour lumps. Add the chicken, give a good mix with a wooden spoon. Cover the dutch oven and leave to cook on medium low for 20 minutes. Stir a few times. While the chicken cooks, make the dumpling batter. Pour the remaining ¾ cups of flour in a bowl. Add paprika, onion powder, ½ teaspoon of salt and ½ teaspoon of pepper. Stir to mix. Add the baking powder and stir again. Make a well in the middle and pour in ½ cup of milk. Stir. The batter should be a little thicker than pancake batter. It should be able to drop from a spoon fairly easily. Add a little more milk to thin out if needed. Remove the lid from the dutch oven. Add the frozen peas. Stir to mix. Now drop the dumpling batter in 3 tablespoon dollops all over the top of the chicken sauce. These will swell up so try to not have them touch. Put the top back on the dutch oven. Cook for another 20 minutes until the dumplings are light golden. Serve and enjoy.